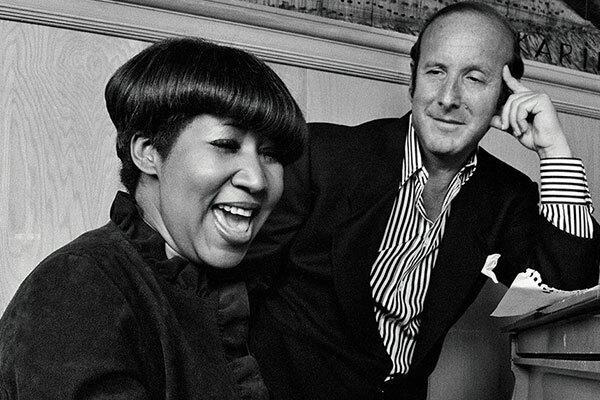 A corrective for the typically sordid showbiz doc, Chris Perkel’s Clive Davis: The Soundtrack of Our Lives presents its subject – legendary genre-spanning record executive Clive Davis – in an almost glowing light. It helps that countless celebrated musical artists speak so highly of Davis; Aretha Franklin, Sean “Puffy” Combs, Bruce Springsteen, Alicia Keys and Patti Smith are all on hand to attest to the character of “the man with the golden ear” who’s talent for shepherding pop careers resulted in nearly five decades of chart-topping hits. It’s a fascinating trip through musical history – memorable recollections include an epiphany seeing Janis Joplin at Monterey Pop and convincing Barry Manilow that the key to his success lay in him performing other people’s songs – but the most emotionally resonant tale concerns Davis’ longstanding fatherly relationship with mega-star Whitney Huston, the tragic figure he struggled so valiantly to save. With Paul Simon, Bob Weir, Babyface and Carlos Santana among many others. With the success of Blue Velvet and the Twin Peaks pilot bolstering his career, David Lynch’s 1990 Wild At Heart finds the director at his most fearless, a mood that suits the film’s young, love-crazed couple. Adapted from a novel by Barry Gifford and starring a Nicolas Cage (before he slipped into self-parody but still delightfully nutzo) and a never sexier Laura Dern, Wild At Heart is Lynch’s love-letter to The Wizard of Oz, Elvis Presley, road movies and the power of reckless love. Supporting the lustful couple is a stellar cast featuring Harry Dean Stanton, Willem Dafoe (at his all-time creepy best), Crispin Glover, Isabella Rosellini (herself romantically linked to Lynch at the time) and Laura Dern’s real-life mother Diane Ladd in a wonderfully histrionic villain role. Despite some explosive violence and truly unsettling moments, it’s the most traditionally “fun” of Lynch’s catalog, one that doesn’t sacrifice an ounce of his trademark surrealism or pitch black sensibility.